Q1. Is AD5750-1 compatible with HART? Q2. Can I apply CN0278 ciruit for AD5750-1. I mean that AD5750-1 will be used for replacement of AD5422. Apologies for the delay. Unfortunately, the AD5750 family was not designed for use with the HART protocol. 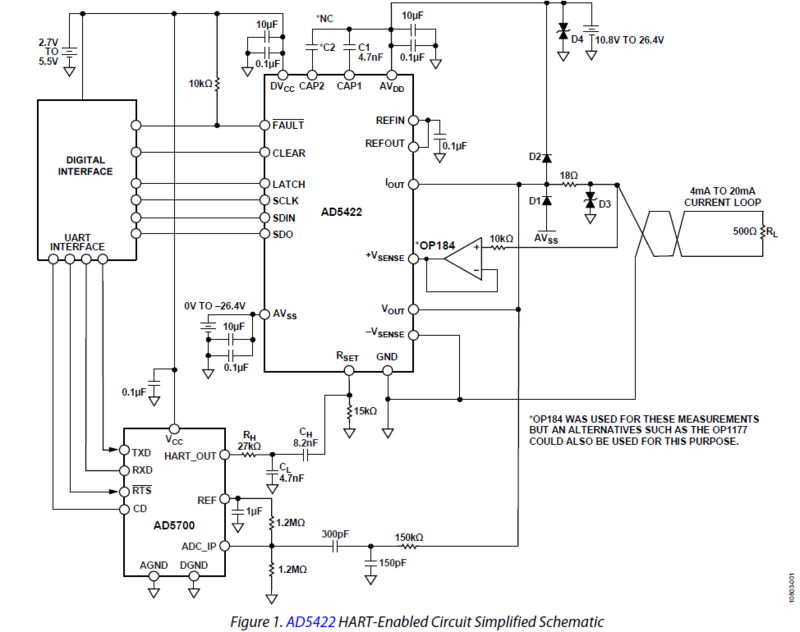 I recommend taking a look some of our other process control DACs such as the AD5422, AD5421 or AD5755-1 where we have many application notes and circuit from the labs reference designs to help with design-ins.